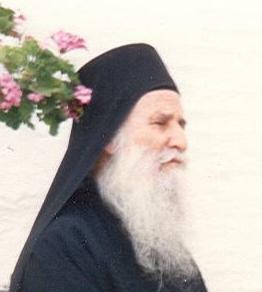 A few years ago, before the current economic crisis, I had the opportunity to visit Vatopedi Monastery on Mount Athos. 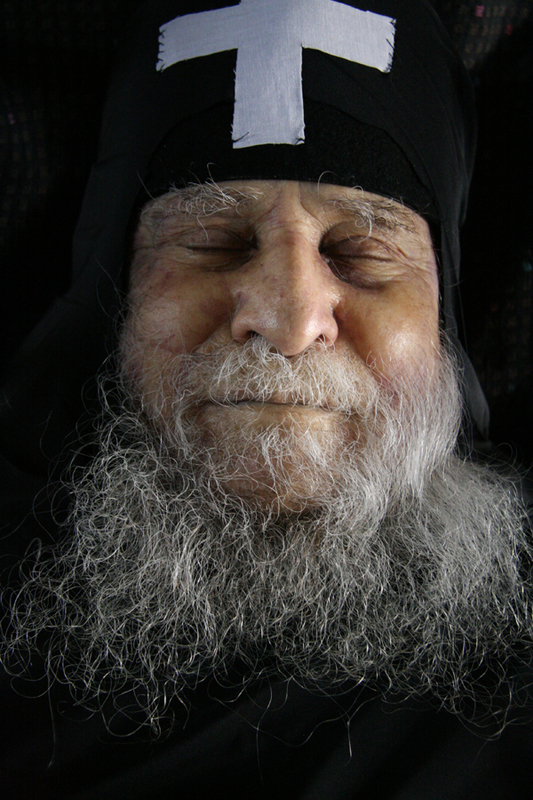 There I was blessed to visit the spiritual elder and ascetic Joseph, who had previously been abbot of the flock of monks of that monastery and who was a member of the spiritual family whose father was the great elder Joseph the Hesychast the Athonite, who died completing his spiritual struggle on August 15, 1959. So let’s call Joseph, whom I was graced to visit by the blessing of the Lord Jesus, Joseph the Lesser. He was over halfway through his eighties and was an unequalled spiritual struggler, even if I may think that he was of a slightly lesser stature than his spiritual father. His physical heart was functioning at less than ten percent, but his spiritual heart was at one hundred percent, by the grace of God, and he did not fall behind with his lengthy nighttime prayers, as though he were still in his youth. He allowed us—there were three of us-- to meet with him for a quarter hour. He reposed in 2009 and in death a stunning smile formed on his face. “It will not be a long time before famine will begin in the world, brought on by painful, unfortunate events in every place." I do not know if he meant that the last days are upon us but that is exactly what occurred to us as he spoke! The year after he said this, the world economic crisis began and it appeared that in the entire world, delusional affluence - except for a tiny minority - has seen its last days and that the time of scarcity may have come, leading to destitution and hardship and arriving at a state of bewilderment and then famine. Since then, crises on every level have succeeded each other at an unusual pace, aside from the limited recoveries we hear about here and there, perhaps due to the surplus that was abundant prior to the current worldwide decline. The movement that is observed is generally one of violence and wantonness, whether among people or in the environment. It is as though we have no clear exit from the recession and there is no evidence of an end to it in the foreseeable future. The impoverished increase in numbers while the well-off dissipate in risky investment ventures. The rest sit in fear for their possessions. Between the helplessness of the needy and the caution of the moneyed, after what has been left by the world economic crisis and the resulting enormous losses, oppressive debts, tragic bankruptcies, and consequent general layoffs of employees and workers and massive unemployment, the brakes were pulled on the economic wagon and it was largely prevented from moving. During all this, the natural order has increasingly been shaken, causing disasters the like of which have not occurred in a long time. Man’s avarice has corrupted the balance of the earth, the sea, and the air to a significant degree. Now the spirit of avarice remains, even if it is like a sleeping beast in the souls of many, and the earth and the heavens are seemingly reacting almost spontaneously. What next? Man’s egoism and self-love preceded his love of money. Love of money gradually progressed into a system of consumption, and the system of consumption made man a prisoner of the logic of profit. The logic of profit transformed the earth’s resources into financial calculations and financial calculations loosened the reins of the passions of soul and body. The passions of soul and body became an uncontrollable harlot and in the absence of internal restraints within people’s souls, the ladder of values and traditional moral restraints collapsed and value and morals came to be centered on purported individual freedom and man’s worship of himself. Then individual freedom and self-worship caused people’s aspirations to become greater than his environment’s capacity to pump vital capital into them and so heaven and earth could no longer match people’s wild cravings. Their storehouses started to be depleted and their balance was thrown off. The environment became ill on account of the illness of man’s heart and the unleashing of his passions beyond any limit. And now what remains? Souls have become addicted to consumption. Man has become an instrument of consumption! Today man’s worldly identity is in what he consumes! Wills have become feeble and souls have become weak! Man has tasted this number of varieties of selfish freedom and self-worship. He no longer desires or is capable of repentance – that is, of a change of mentality and behaviour. For him repentance is identical to death. For this reason he starts to live off of his fantasies, his dreams, his self-esteem, his accomplishments, and his cravings until death. He sees that he is approaching an unstable precipice and he is unable to stop before it, and he doesn’t care! He has become addicted to himself and death has become less painful than resisting his addiction. In letting loose his passions, his will to live starts to die. Death becomes life for him, and he has no other life! I know a friend who became addicted to drink and his liver was afflicted. His wife kneeled in front of him, weeping, “Stop for my sake and for the sake of your children! You will die.” The doctors said, “Don't you care?” “Let me die,” he said, “I don’t want to live anymore. Life for me is drinking.” And he died! Addiction to passions is a spider’s web. One is cut off from love. Love becomes for him a consumer good that abets and deepens his addiction. His loved ones die in his eyes unless he humbles himself, gets sober, weeps, and repents. At that point he escapes, naturally not by his own power, but by the power of the Most High! However, the danger is that caught up in his addiction and the weakness of his soul, he will give himself over to despair. Sin always whispers to him, within his being, that he has no salvation in his God! If the Lord God desires salvation for him, then there would be nothing that helps him that he would not fear, like Peter who cries out as he is sinking, “Lord save me!” (Matthew 14:30). The Lord gives Himself freely to the one who asks, not to the one who does not ask! If mankind does not repent with the repentance of Nineveh, they are susceptible to disasters that they caused and wars that they brought upon themselves. Can they continue in their transgression to the point of complete delusion and despair, or will they repent? We do not know how the great days of tribulation will be. One who has drank deeply of the pleasure of the passions generally mocks a chaste life enjoying ordered passions. His conscious is inversed. For him, life becomes death and death life! This is what sin does to man! The danger of sin to one who persists in it over and over is to provoke in his soul despair over life. For him life without sin becomes death, flavorless. This persistence in self-worship changed heaven and earth and God and His servants, into consumer goods that man annihilates in satisfying his vanity and fulfilling his desires. The final thing that man consumes is himself and his desire, as though he longs for nothingness! You are of dust, O man, and to dust you return. Sin is a movement toward nothingness within existence. Thus through his persistence in sin from nothingness in existence, man is transported to black existential emptiness. This is the second death that the Book of Revelation speaks about. This is hell. Hell is not created by God. It is man’s creation. The end result of human choices is not a divine punishment! The earth is limited, but sin does not stop at any limit. There must come a time when it cracks, today or tomorrow! “And I saw a new heaven and a new earth: for the first heaven and the first earth passed away; and there was no more sea” (Revelation 21:1)! Article published in English on: 4-4-2011.